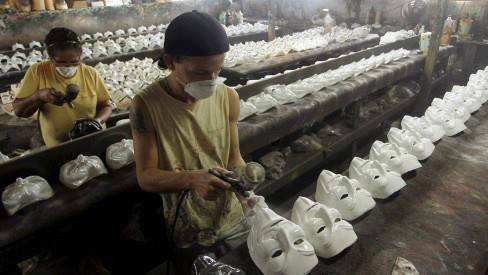 Anonymous Guy Fawkes masks being made in a third world factory. 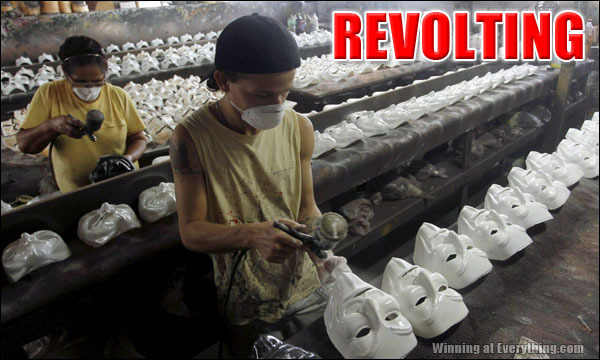 Other than this picture of two seemingly healthy-looking, brown skinned gentlemen, what evidence is there to suggest that the masks are made in a third world factory?? The photo I linked to is courtesy of Tin Eye, and was posted in 2008. 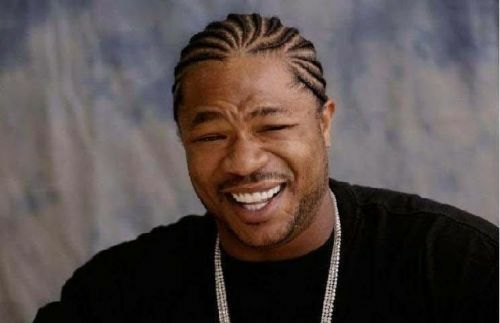 Women are gentlemen too and I discover it only now? Mind. Blown.